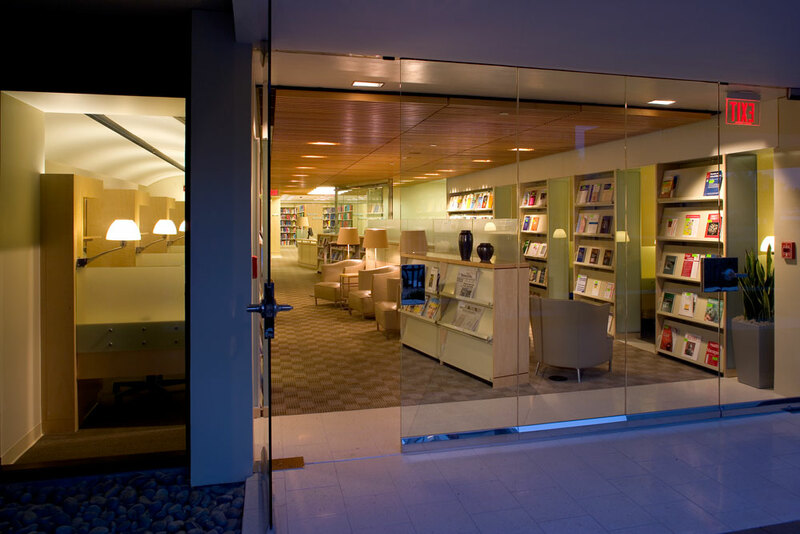 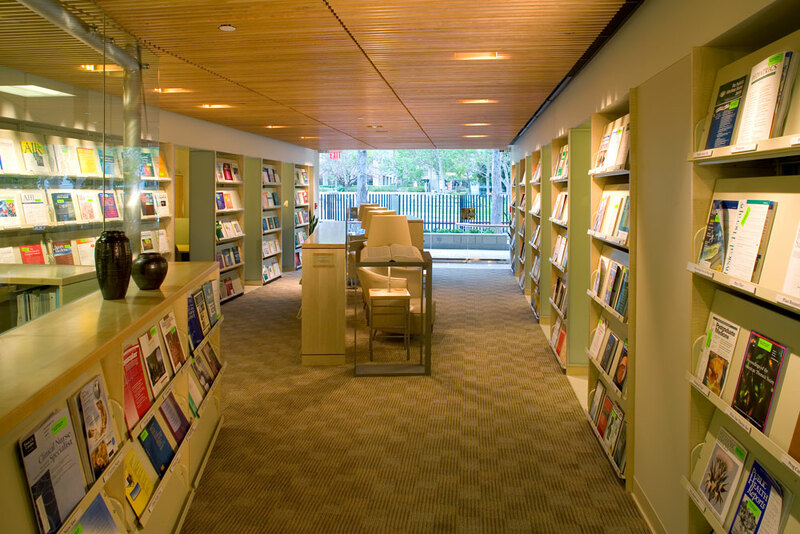 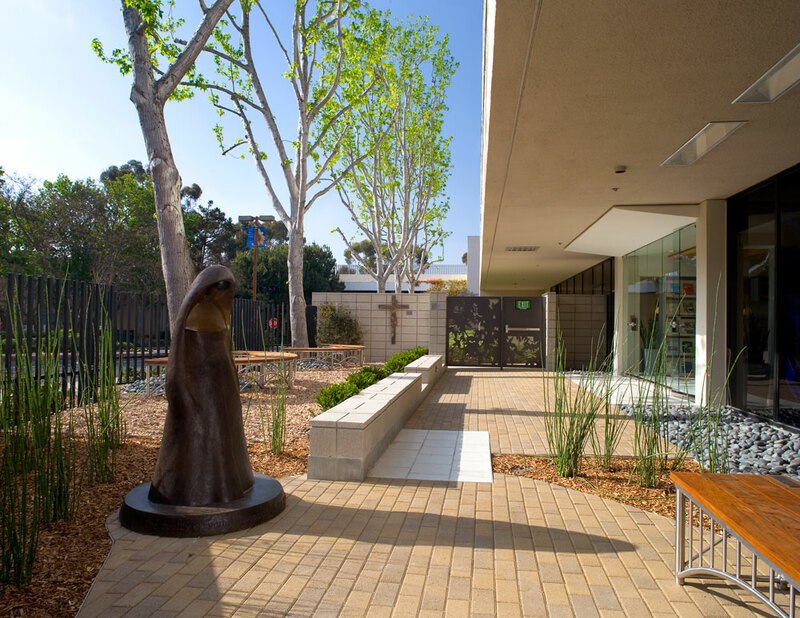 Designed to assist physician research and patient/ family support, the library is anchored by book stacks at one end and an outdoor meditation and study garden at the other. 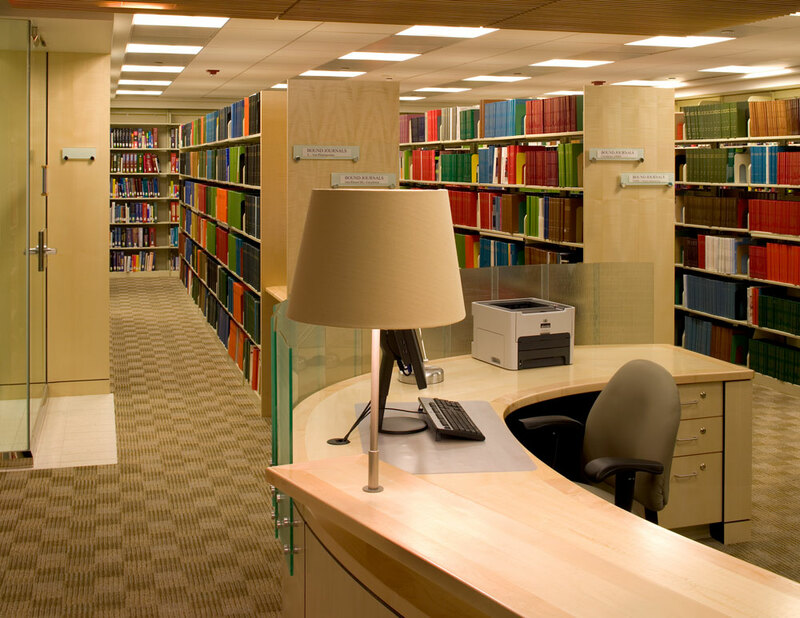 Study and research areas line the space between. 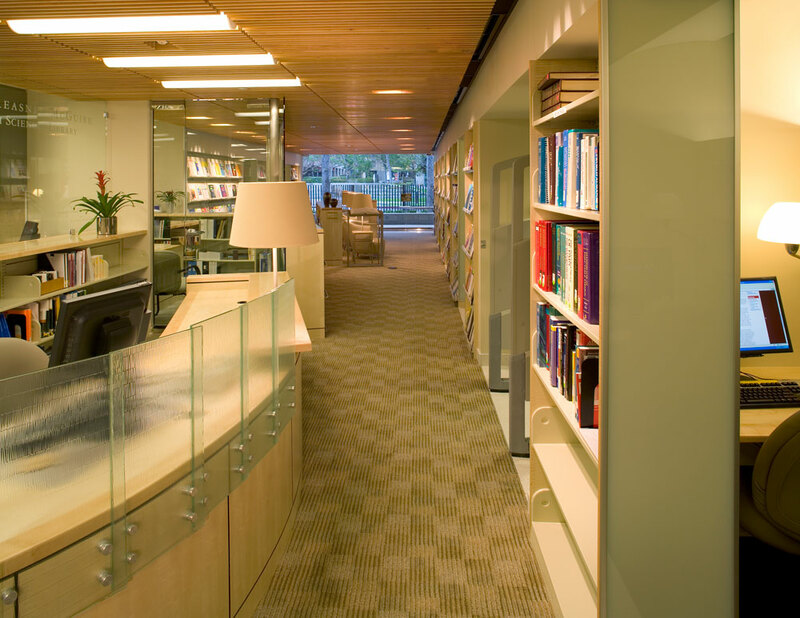 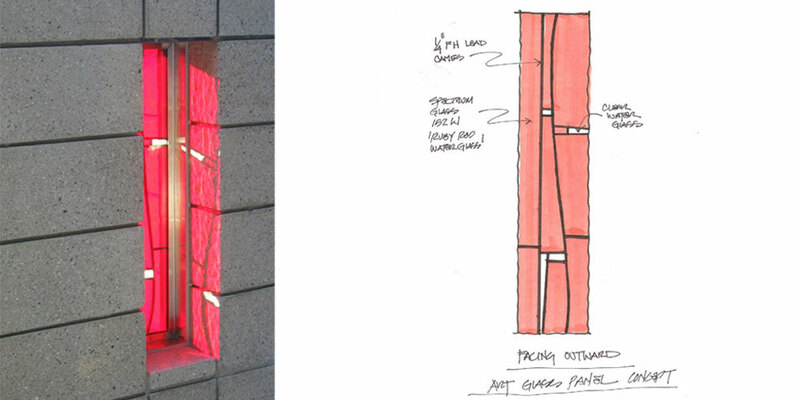 Careful planning of the spaces allows for maximum access to day light.